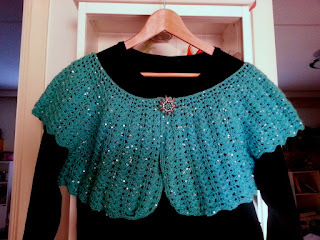 Last week I finish the Lacy Bolero from Simply Crochet magazine issue 3, there was some error in the pattern or I don't understand it. Anyway after some emails to and from the editor of the magazine, we got the revised one (maybe just for those who has been asking for it). I use Finnish yarn Rose (mohair) from Novita to make this in blue and it turns out very nice. 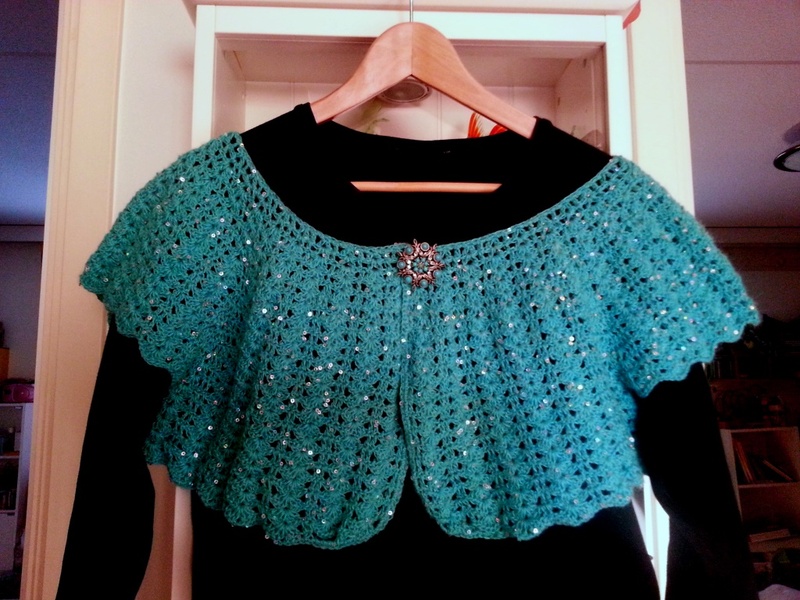 The yarn has sequins on it so it gave some sparkle to the bolero. I love the colour and your patience paid off. I like the added sparkle too.